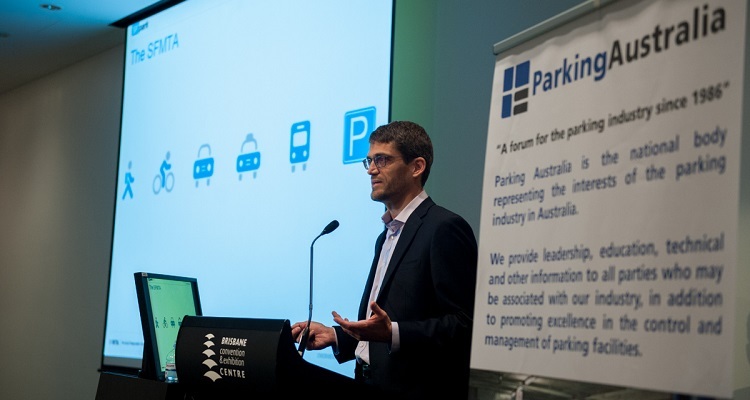 Jay Primus provides an in-depth overview of SFpark, a pilot test of a new approach to managing parking in San Francisco completed in 2014. This presentation will provide an overview of the project’s planning, implementation, operation, and evaluation, and touch on lessons learned and relevance for other cities. Jay Primus works for the San Francisco Municipal Transportation Agency as the Program Manager of SFpark, San Francisco’s new approach to parking management that uses a combination of better information, an emphasis on customer service, and demand-responsive pricing to make parking easier and more convenient. Before the SFMTA, Jay worked on transportation policy, transit, and transportation demand management projects at Nelson\Nygaard, a transportation consultancy based in San Francisco, as well as at the SFMTA on special projects, leading the redesign of the downtown portion of the city’s busiest bus route. Jay has also worked as a freelance writer, editor, and web design project manager.